This song is off of She's So Unusual, Cyndi Lauper’s debut album, released the month before this show, broadcast live from Ripley Music Hall on November 29th, 1983. Rob Hyman of The Hooters co-wrote this song, and he sings background vocals on the album version. 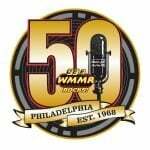 At the end of the track, she gets the entire audience to do a station ID for WMMR!